Overlooking San Antonio Bay, right in the centre of the town, you really couldn’t ask for a better location for superclub Es Paradis. Es Paradis, a pyramid shaped club with classical interior, has been one of the main clubs in Ibiza for many years. Choose from a variety of party nights - including the legendary water party – a spectacular mix of light, water, music and colour. 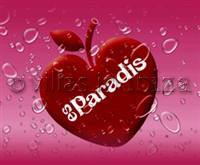 Es Paradis has also hosted some of the best DJs such as DJ Sammy.